The benefits of simplicity. A street photographer's zen. When we work with fully manual cameras that have no meters, no autofocusing mechanism and no zoom lenses we tend to work more quickly because we aren't slowed down by having to make choice after choice at the time of shooting. 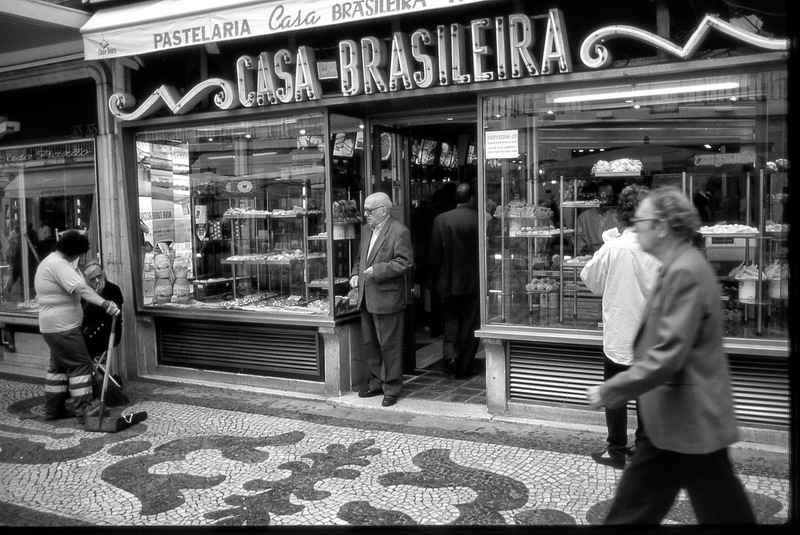 When I shot with a Leica M4 and a 50mm lens I followed the same routine when I was outside. I would Scotch tape a Kodak exposure guide (small slip of paper with pictograms on it) to the bottom of the camera. I would walk outside and judge the light, then I would look at the guide to decide the right exposure setting. I would set it on the camera and it would stay set until I noticed that the light had changed. 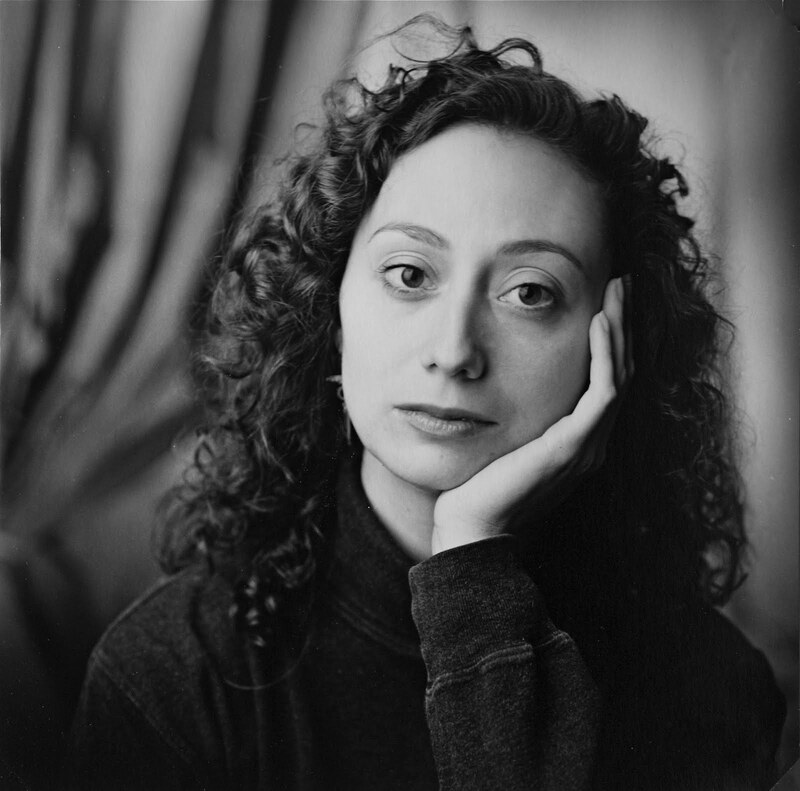 I liked working at f5.6 or f8.0 apertures on the 50mm when I worked with Tri-X because in any light short of full sun I could use those apertures and work within the limitations of the camera's 1/1,000th of second top shutter speed. I would preset a hyperfocal distance that would cover the usual subject and if needed would fine tune depending on the distance from my camera to the subject. With the camera set this way taking a good picture was as easy as seeing the subject, raising the camera to the eye and then pushing the shutter button. No thought. No second thoughts. Once the moment is captured we might try to fine tune. It is usually futile as the clearest seeing of the image seems to be the moment of recognition. Auto focus introduces conscious thinking. Everything from deciding on the focus points to confirming focus. None of it is instantaneous. None of it is reflexive. It's different. Ah well. Nineteen Million Pageviews and Counting. Thanks for taking the time to read it. The physical ins and outs of shooting video footage and making the camera move. It's so much harder than it looks to me. Yikes! Occupational Therapy Learning Curve. OTLC. This image has nothing to do with this particular blog post. 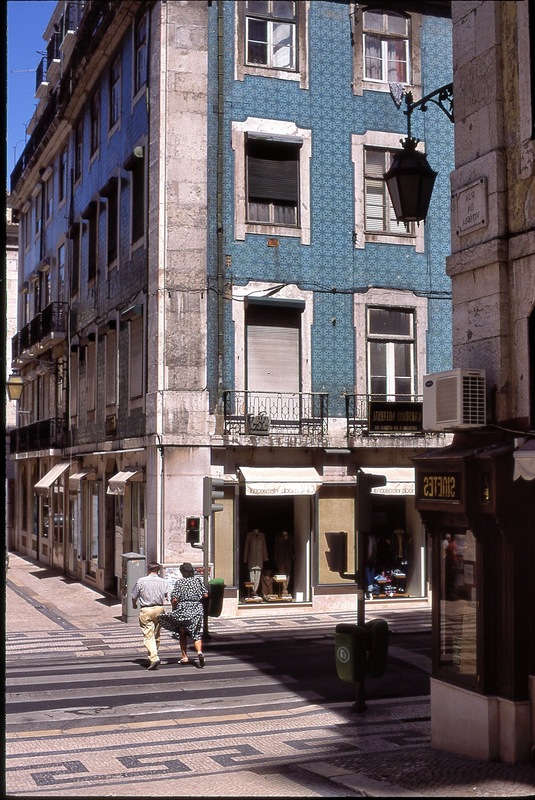 It's an image from Lisbon in the late 1990's. I liked the tile on the side of the building. I got hired by a photographer for today. He was shooting the installation of an art project at an airport and needed someone to provide video documentation of the installation as well. The installed art work is hundreds of feet long and covers two expanses (two walls) of a great room. We had control of the location from 10am until 2pm. There was "hard stop" at 2 pm because an arriving international flight would disgorge passengers who needed to transit through "our" space. The best way to show the installation on video was to move across the length of the art. Fortunately we had a floor that was smooth as glass and a large cart with soft wheels and a true bearing. My most important shots were done by placing a stout tripod on the top of the cart, loading the cart with ballast to give it more inertia and then practicing my pacing. I'd line up the shot and then use the joins on the floor to stay on the right path, perpendicular to the wall. When I first started planning the video portion of the project I was thinking "wheel chair" as a quick and inexpensive alternative to laying a couple hundred feet of dolly track but the cart was even better. We needed a fun opening shot and a perfectly placed escalator allowed me to descend into the room and into the art in a very visually fun way. Through experimentation I found that the best way for me to hold a camera very steadily on moving stairs is to use a loupe/finder over the rear screen and have a three points of contact strategy. The three points being my left hand, my right hand and my forehead/eye socket. I also engaged the vibration reduction on the lens I was shooting. We tried using a slider but the room's volume and dimensions, as well as the placement of the art in relationship to the lighting, really necessitated using longer lenses from further back. There's not enough relative movement in some long lens shots to get the feeling of movement across to the reader in any convincing way using a slide movement. If we'd needed to shoot close and wide it would have been a different story. Like most brain functions combined with hand functions it takes practice making the two work together. Pans can be unforgivingly obvious when they aren't done in a skillful way. I'd like to think a better quality ($$$) fluid head will make my panning moves much better but I can already see that there's no magic bullet. Some stuff just has to be gotten to straight through before it really works. My big hope is that perfect panning is not another one of those things that takes ten thousand hours to accomplish. I do know that the pans worked better when I used one hand on the camera and one hand on the tripod arm. I know now that it's easier to do a fast pan than a slow pan and it's almost impossible to do a really good very slow pan; at least for me. I've learned in previous projects just how useful detail footage and shots from other angles are when editing. If a part of one pan goes bumpy it's always possible to cut away to a different angle and then cut back when my overall performance improves somewhere in the original shot.